Our contemporary styled, multi-function tilt-turn window is operated by a single lever. This allows the window to swing in like a door for maximum ventilation and easy cleaning. It can also tilt in at the top for indirect ventilation. Our stainless steel multi-point hardware system ensures a tight seal while providing additional security and increased sash stability for oversized units. 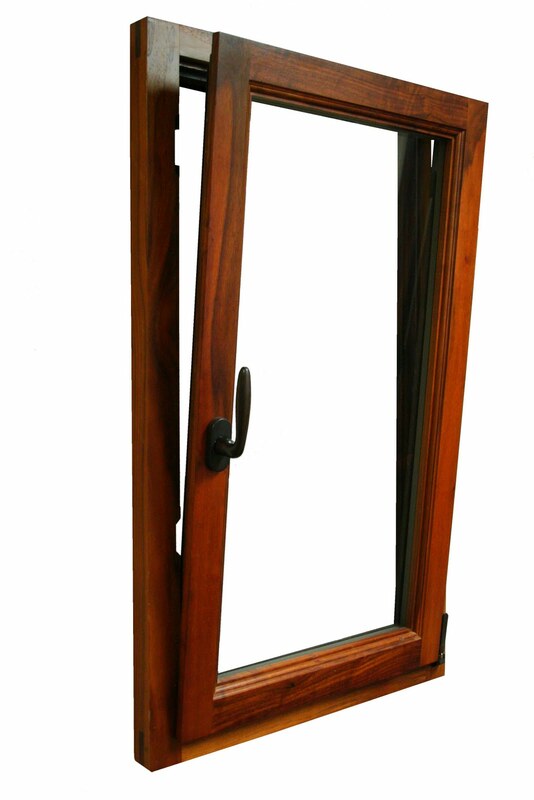 Tilt-Turn Windows are available in solid wood, with the option of aluminum and bronze cladding. For more information on this product please visit Tilt-Turn Windows. For more information on Grabill products, please visit www.grabillwindow.com or email info@grabillwindow.com.